North Dakota Transfer on Death Deeds – Avoiding Probate in North Dakota. In 2011, the North Dakota legislature enacted its version of the Uniform Real Property Transfer on Death Act (hereinafter, the “North Dakota Transfer on Death Deed Act”) – authorizing the execution of Transfer on Death Deeds with respect to North Dakota real property – including mineral rights – which can aid in avoiding probate in North Dakota. North Dakota Transfer on Death Deeds are used to avoid probate with respect to the North Dakota real property interests identified in the Transfer on Death Deed. While North Dakota may have been the first state to adopt the Uniform Real Property Transfer on Death Act, at least 12 other states have subsequently adopted some form of the Uniform Real Property Transfer on Death Act – including Texas, which like North Dakota – has considerable mineral assets. While Minnesota has not adopted the Uniform Real Property Transfer on Death Act, it has had its own unique Transfer on Death Deed legislation since 2008. N.D.C.C. 30.1-32.1-14 identifies that the North Dakota Transfer on Death Deed Act applies to a transfer on death deed made before, on, or after August 1, 2011, by a transferor dying on or after August 1, 2011.
the transferor died after August 1, 2011.
are considerable – although the general intent of each body of law is similar. 12 other states besides Minnesota had already adopted Transfer on Death Deed legislation prior to the drafting of the Uniform Real Property Transfer on Death Act. The drafters of the original Uniform Real Property Transfer on Death Act saw a need for a uniform body of law addressing Transfer on Death Deed real property issues. However, North Dakota adopted a somewhat modified version of the Uniform Real Property Transfer on Death Act. Therefore, the North Dakota Transfer on Death Deed Act may be different than comparable legislation adopted in other states. In some states, the adoption of all or parts of the Uniform Real Property Transfer on Death Act may have been an improvement on their previous legislation. However, in other states – such as in Minnesota – unique Transfer on Death Deed legislation may be superior to the original Uniform Real Property Transfer on Death Act – and the variations thereof which may appear in several of the states. The North Dakota Transfer on Death Deed Act contains 14 statutory sections, whereas Minnesota’s Transfer on Death Deed legislation covers 26 statutory sections. Minnesota’s Transfer on Death Deed legislation is significantly more comprehensive than the North Dakota Transfer on Death Deed Act. Therefore, the North Dakota Transfer on Death Deed Act may provide less guidance on a number of issues than Minnesota’s unique Transfer on Death Deed legislation. Since Minnesota’s Transfer on Death Deed legislation has been in effect for three years longer than the North Dakota Transfer on Death Deed Act, the Minnesota legislature has had more opportunities to address ongoing issues with its unique Transfer on Death Deed legislation than has North Dakota’s legislature. However, reported judicial decisions in either state reviewing Transfer on Death Deed issues is still lacking. As of October 1, 2016, there have been no reported judicial decisions interpreting either body of law. The use of Minnesota’s Transfer on Death Deeds is a popular estate planning technique in order to avoid the necessity the probate proceeding upon the death of the grantor. Once it becomes better known, the North Dakota Transfer on Death Deed Act may likewise become a well-used tool to avoid probate with respect to certain North Dakota real property titles. Nevertheless, a North Dakota Transfer on Death Deed can aid in avoiding probate in North Dakota upon the death of the owner. Owners of North Dakota real property interests – including mineral rights – who are contemplating transferring such interests pursuant to a North Dakota Transfer on Death Deed which can aid in avoiding probate in North Dakota, are invited to contact Minnesota and North Dakota attorney Gary C. Dahle for assistance. Attorneys not licensed in Minnesota or North Dakota are invited to refer possible Minnesota or North Dakota Transfer on Death Deed issues to Minnesota and North Dakota attorney Gary C. Dahle, at 763-780-8390, or gary@dahlelaw.com. Information provided herein is only for general informational and educational purposes. North Dakota’s version of the Uniform Real Property Transfer on Death Act involves many complex legal issues. If you have a specific legal problem about which you are seeking advice, consult with a North Dakota attorney of your choice. Gary C. Dahle, Attorney at Law, is licensed to practice law only in the State of North Dakota, and in the State of Minnesota, in the United States of America. Therefore, only those persons interested in matters governed by the laws of the State of North Dakota and Minnesota should consult with, or provide information to, Gary C. Dahle, Attorney at Law, or take note of information provided herein. Accessing the web sites of Gary C. Dahle, Attorney at Law – http://www.dahlelaw.com, http://www.NorthDakotaTransferonDeathDeeds.com, or http://www.dahlelawnorthdakota.com – may be held to be requests for information. 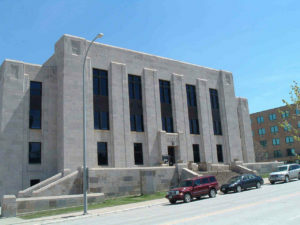 However, the mere act of either providing information to Gary C. Dahle, Attorney at Law, or taking note of information provided on http://www.dahlelaw.com, http://www.NorthDakotaTransferonDeathDeeds.com, or http://www.dahlelawnorthdakota.com – does not constitute legal advice, or establish an attorney/client relationship. Nothing herein will be deemed to be the practice of law or the provision of legal advice. Clients are accepted by Gary C. Dahle, Attorney at Law, only after preliminary personal communications with him, and subject to mutual agreement on terms of representation. If you are not a current client of Gary C. Dahle, Attorney at Law, please do not use the e-mail links or forms to communicate confidential information which you wish to be protected by the attorney-client privilege. Please use caution in communicating over the Internet. The Internet is not a secure environment and confidential information sent by e-mail may be at risk. Gary C. Dahle, Attorney at Law, provides the http://www.dahlelaw.com, http://www.NorthDakotaTransferonDeathDeeds.com, and http://www.dahlelawnorthdakota.com web sites and their content on an “as is” basis, and makes no representations or warranties concerning site content or function, including but not limited to any warranty of accuracy, or completeness.